When we were wandering around Pinglin (坪林區) in Taiwan looking for exciting Bao Zhong to taste, we only found a couple of places that piqued our interest. The first was a small family shop right next to the bus stop and was where we spent most of our time. That’s another story. The second, though, seemed a little more professional (which is not always a good sign) and I think was partially a cafe or restaurant, although – like the rest of Pinglin – it was deserted. There were also plenty of the giant mosquitos that Taiwan seems to be famous for milling around the room and attacking me whenever they had the chance. I didn’t dare sit in one place for too long and give them an advantage, and don’t ask me about the bathroom. 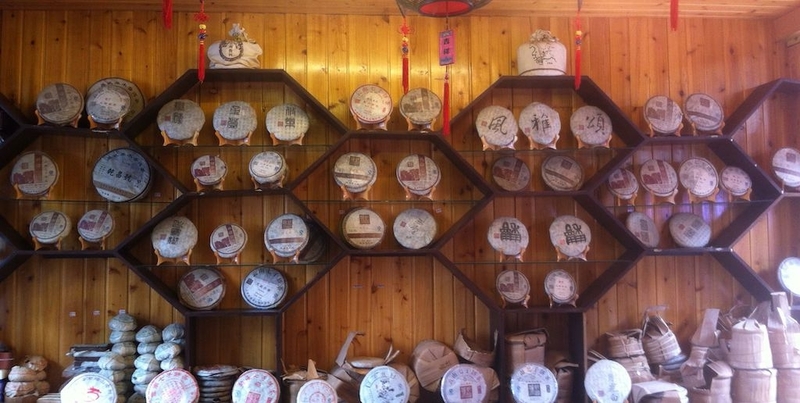 It was still an interesting place, and had gigantic clay jars of various tea in the center of the floor. I forget exactly which teas we tried, but for the most part we were unimpressed and their prices were a little high. Before leaving to go back to the other shop, though, I asked about a tea that was on a shelf in a somewhat ornate container. It turns out that the tea was an aged oolong, purportedly 40 years old. The real thing that surprises me each time I drink this tea is how smooth it is. For some reason I always expect a strong charcoal-style roast to come out of the leaves. I’m not sure if it’s due to the darkness of the dry leaf or the unmistakable aroma of a dark roasted oolong, but there’s something that implies a Feng Huang Dan Cong in this tea. There’s even a hint of the fruitiness one finds in a Guandong Phoenix. And yet it’s gentle, soothing on the stomach, and has a bit of a lychee or fig character hidden in its orange-colored liquor. I’m glad that I bought some. 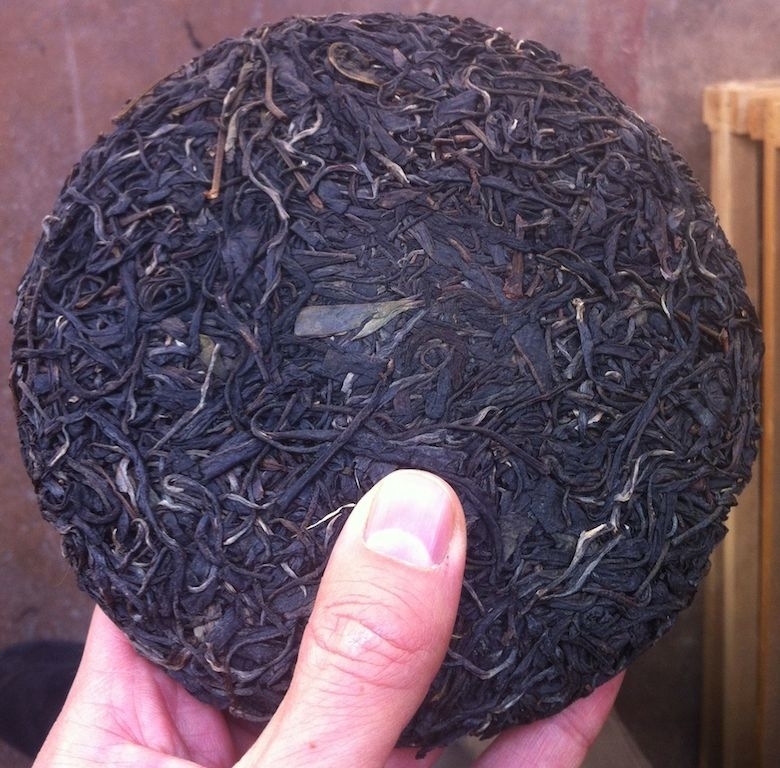 This entry was posted in Tastings and tagged aged, oolong, taiwan, tea on May 8, 2013 by payton.